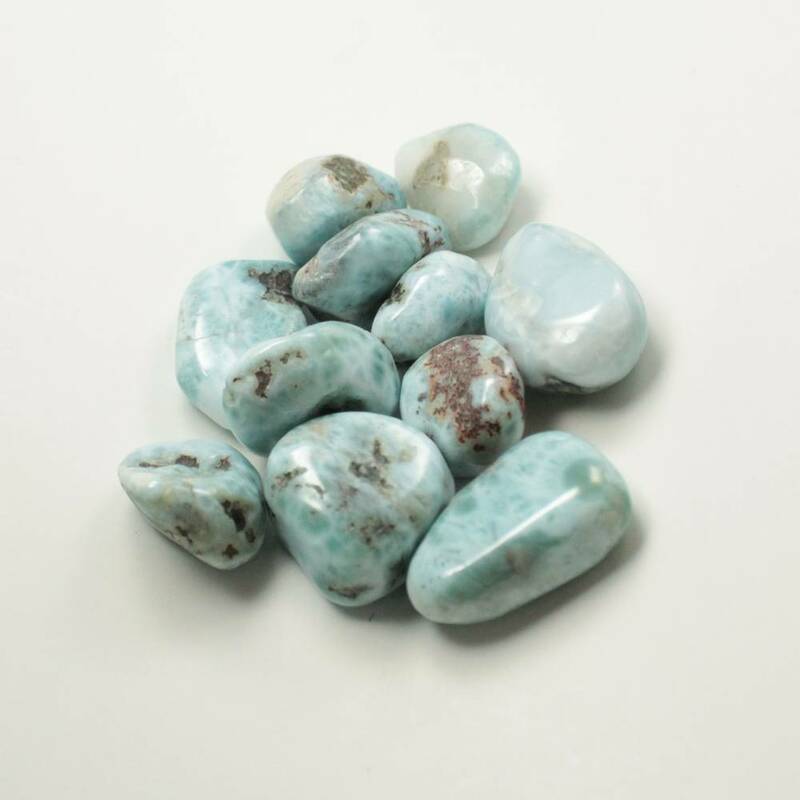 Tumbled Larimar pieces, a popular light blue tumblestone. 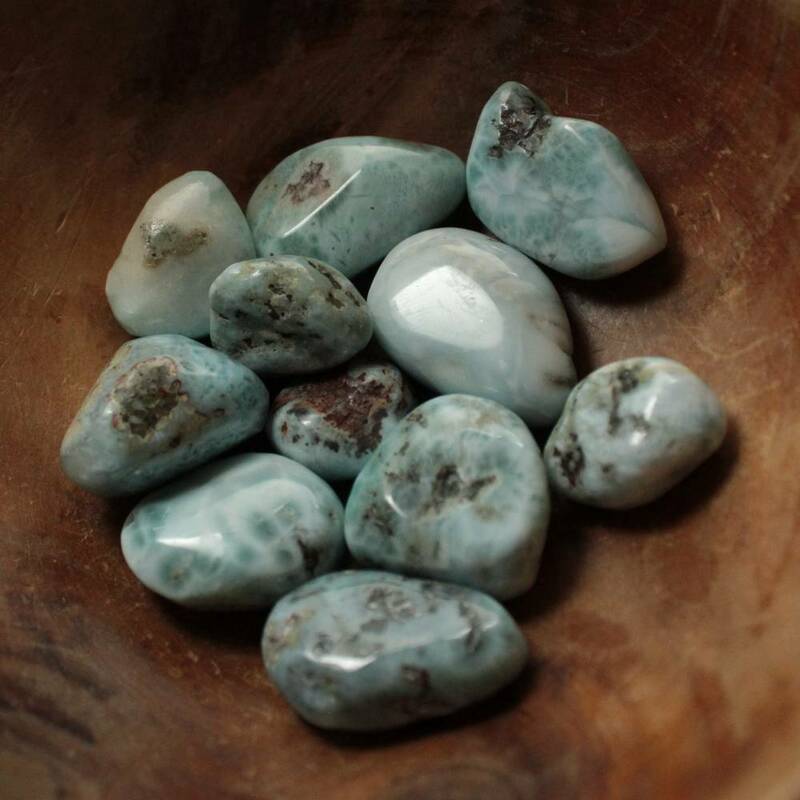 Small Larimar tumblestones, a gorgeous light blue stone from the Dominican Republic. 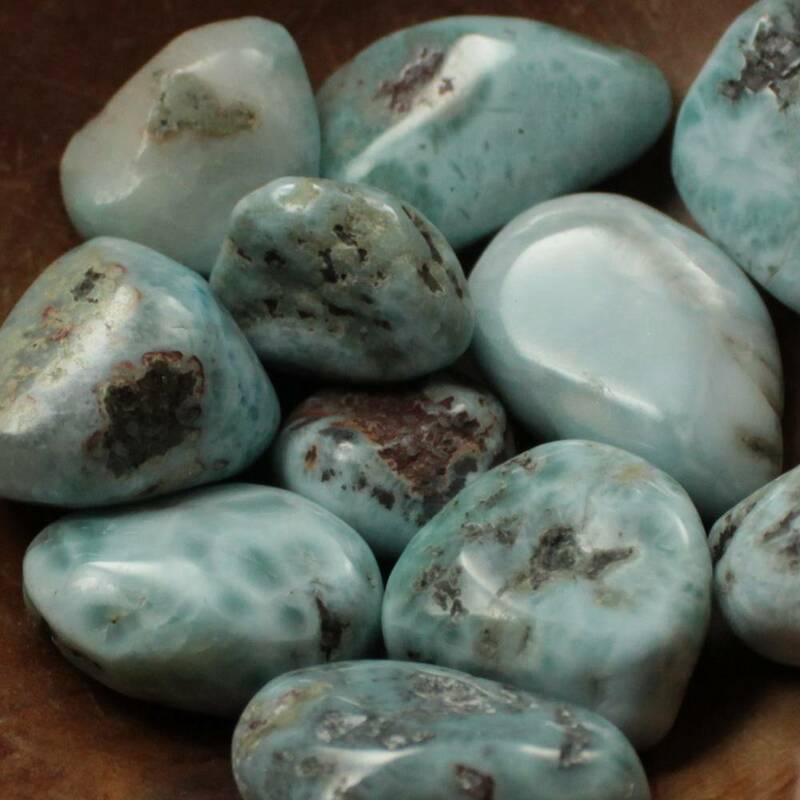 Larimar has gained immense popularity with the new age and crystal healing crowds recently. These are a good grade and are nicely rounded. Because of their pale blue colour, they will contrast nicely with darker blues, greens, and most other stones, actually. They’d look pretty great in a display with most colours, too. These tumblestones are currently only sold in a single size – our ‘medium’, or 20-30MM long approximately. For more information about Larimar, and a full list of all our related products, please see our main ‘Larimar’ page.